Alien Explorations: Prometheus: Just like "Fire in the Sky"
Prometheus: Just like "Fire in the Sky"
In 1993 the movie Fire In the Sky was released, the script written by Tracy Tormé who tried to depict as near as possible the events surrounding the Travis Walton alien abduction UFO case and this movie brought up the same idea about what we perceive to be extra terrestrials, that they're suits with something inside them. 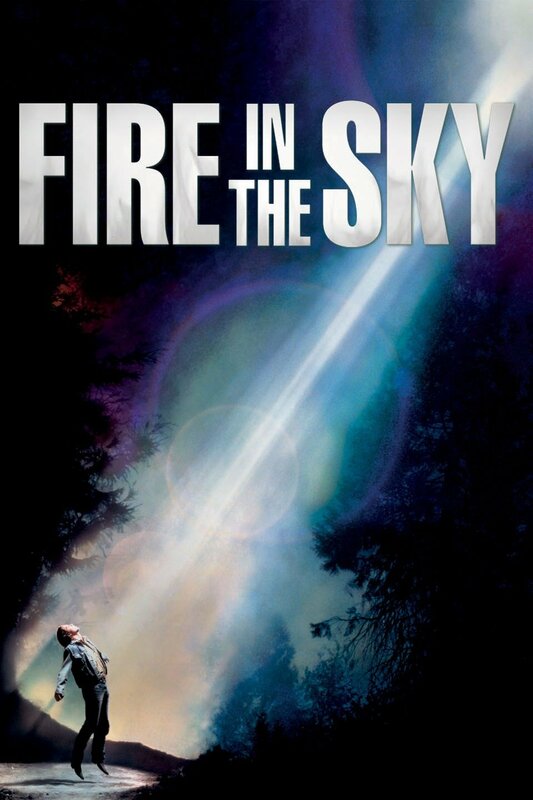 The space suits in Fire In The Sky might well be considered a nod to the film Communion and also a development of the idea shown where something else was shown hiding within. One day while in preproduction for Fire in the Sky, Tormé received a phone call in his office at Paramount Studios, it was a studio executive who just happened to have seen the second airing of Intruders on TV the night before which Tracy Tormé had also scripted, and was saying "Oh my god, the same kind of aliens that are in Fire In The Sky.Oh my god, they've been shown before, they've been on this movie Intruders and we're sunk, we can't do the movie "
The executive was unbelievably put-off and worried because he’d seen little gray men with big eyes standing over a table doing experiments on someone, therefore it’d ‘been done before,’ therefore he had no interest in doing the Walton movie and was going to kill the project if I didn’t come up with something else. This sort of thing had also been seen in such things as Communion, the Betty and Barney Hill abduction case, on Nikon commercials and beer commercials. The studios were going to need the alien sequence changed for their 20 million dollars or they would pull the plug on the production. They were serious and firm about the matter. Empty Space Jockey like suits of the engineers curiously found standing either side of a tunnel leading towards the space jockey chamber in the Juggernaut. 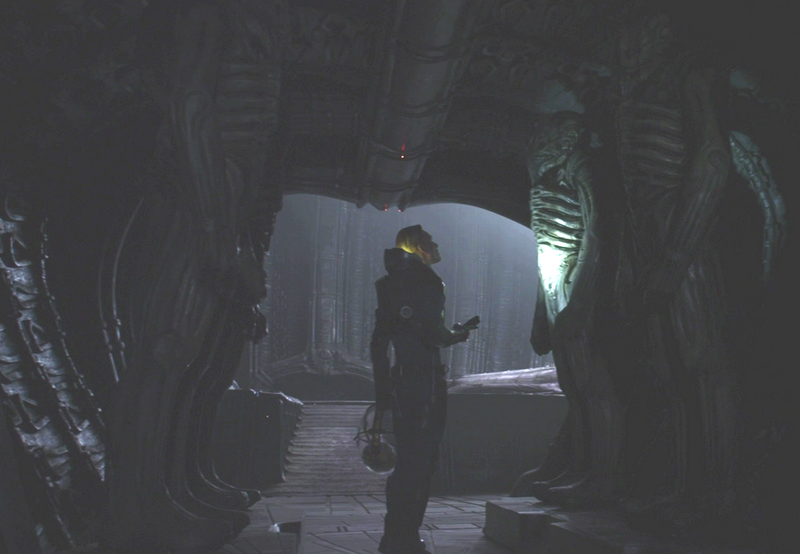 Oddly in the film, these Engineers are seen to be running around in these suits, they're labeled as flight suits, but they're not used for flying, and the space jockey suit that the pilot used to fly the ship is a part of the chair. Perhaps they're just used as environment suits in this case, protecting them from being infected. 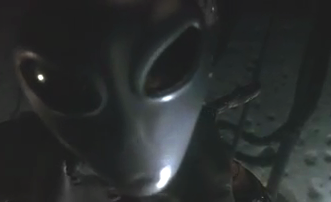 Below, Images from the movie Fire In The Sky (1993), directed by Robert Lieberman which is based on the Travis Walton alien abduction case, here the character Travis Walton wakes up in a space craft and curiously encounters space suits of extra terrestrials floating around inside a zero gravity environment, presumably the inside of a space craft. It suggests that all the witness reports of what are known to be "Greys" may not be all that they seem, maybe they are suits and something else is inside them and what are revealed to be the actual alien creatures themselves shows something roughly humanoid but significantly different. And this scene brings me to make the connection between "Fire In The Sky" and "Prometheus"
Tracy Tormé: I had just done a miniseries called Intruders on CBS and they re-ran Intruders one night on TV, it was actually the second airing of it and a Paramount executive happened to see it and suddenly went sort of ballistic and said Oh my god, the same kind of aliens that are in Fire In The Sky, 'cause I was at that point in pre-production on Fire In The Sky, he said "Oh my god, they've been shown before, they've been on this movie Intruders and we're sunk, we can't do the movie. "So we actually had to convince Paramount for a second time to make the movie. They were ready to pull the plug on the movie. Believe it or not, thanks to Intruders of all of the ironies and they came to us and basically said, we're one inch away from shutting down the production unless you completely change the alien sequence in the movie. So director, and myself and Travis all got together and tried to come up with an alternate version of what really happened that didn't... didn't stray too far away from the truth but also was not really happened. My original script for Fire In The Sky, the alien sequence was identical to what Travis reported, I mean I literally followed it like a map. Tracy Tormé: No, so... so we..we all had to alternately come up with an alternate version of the movie, which was not my first choice, not what I would have done if I had my druthers, but it truthfully was the only way in keeping the film alive, we were very close to having the plug pulled on us, because when the Paramount executives had seen that sequence in Intruders, he saw little grey guys with big eyes and people lying on tables and stuff like that and it was like eye opening to him, and he had never known that that type of thing was pretty well known. So it was unfortunate I wasn't... if we could do it all over again and I had my way, I would have followed the real story a lot closer, because I think the real story is... is more interesting in many ways, but it was really our only way to resurrect the film. Don Ecker: We have Dan on from Victorville, good evening Dan? Don Ecker: What was your dissapointment, Dan? Tracy Tormé: Hmm, so the scenes with the truck and the scenes with the law enforcement at the town and all of that stuff came from "ho-kwan?/old cloth"
Dan from Victorville: What was that? Tracy Tormé: But let me say one thing further. 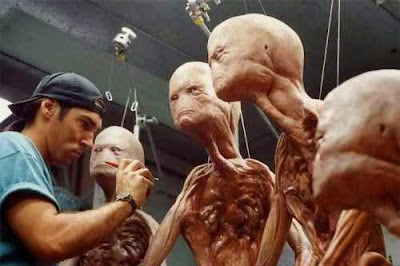 We worked with Travis and with ILM to very carefully come up with a sequence that was a nightmare ,basically the idea of the scene was let's create a nightmare that's different than Travis' nightmare but that equates Travis' nightmare and let's take things from other abduction cases and do it. Now, I think you would admit that, that scene is very powerful, so powerful that some people can't watch it, I understand that, but Travis Walton said that it completely, completely equivocates what happened to him, in emotions, in impact, and in the feeling that he got watching the scene, he said he felt like he was living what happened to him even though the details were different. Dan from Victorville: When you're dealing with abduction cases, and you're dealing with hypnotherapy, you can get to a a factor that is called confabulation, and as nightmarish as that scene is, of course my only concerns are for people in the UFO field. I realise that your concerns are much broader than that, by mine are for the people in the UFO field. The degree of confabulation that may come up after Fire In The Sky is released will possibly be phenomenal, and these are the fringe elements that have been in abduction that a... a..., do I need to explain confabulation? Dan from Victorville: A real jerk, uh? Dan from Victorville: It's a good movie.